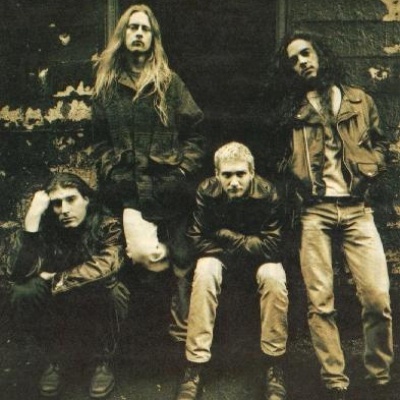 Alice in Chains are one of the most influential American rock bands of the early '90s. Drawing equally from the heavy riffing of metal and the gloomy strains of post-punk, the band developed a bleak, nihilistic sound that balanced grinding metallic riffs with subtly textured acoustic numbers. They were hard enough for metal fans, yet their dark subject matter and punky attack placed them among the front ranks of the Seattle-based grunge bands. While this dichotomy helped the group soar to multi-platinum status with their second album, 1992's Dirt, it also divided them.